Most of the islands in the Central Pacific are very young in comparison with continental landmasses. They began to develop deep in the ocean through active volcanic processes and eventually emerged above the water creating completely new habitats for different types of organisms. How numerous species of plants and animals colonized these novel habitats and how they have survived together within the unstable environment of a volcanic island are intriguing questions that have been asked repeatedly through the history of evolutionary biology. The fascinating story of a small freshwater fish can help us to find some possible answers. Most evolutionary biologists have argued that different organisms living today in the Central Pacific must have traveled thousands of miles to get there from the other regions around the world – including South East Asia, North America, South America, Australia and even Africa – and have established their island populations purely by chance. However, an increasing number of scientists today are criticizing this view by showing the great similarity among many island organisms in their patterns of geographic distribution. These authors suggest that different species of plants and animals have always existed in the Central Pacific and have evolved together being affected, as a whole, by the changing landscape. 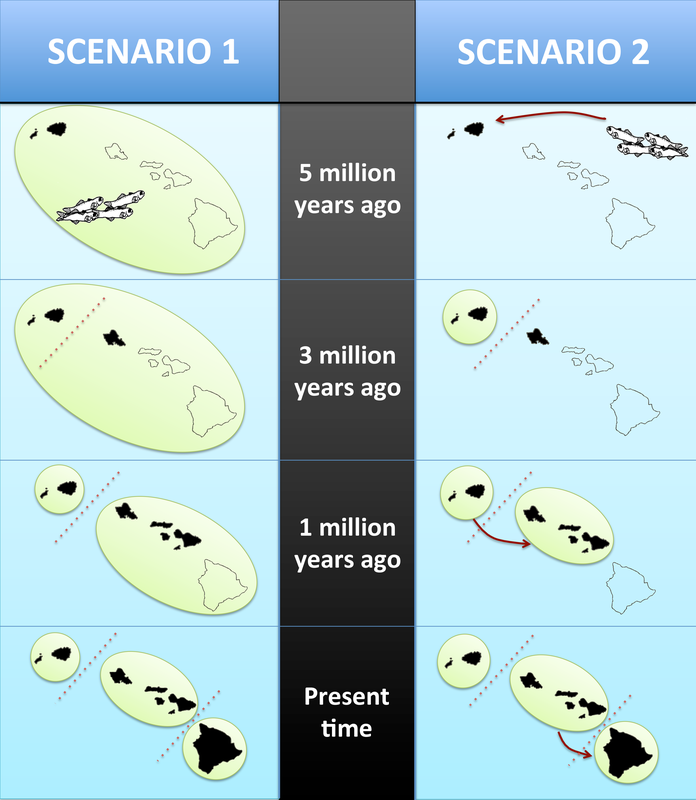 Figure 1 describes the hypotheses of evolution of Hawaiian fishes to illustrate these two scenarios. There is a big debate about how these opposing views should be reconciled. But the general agreement is that the evolutionary relationships of different island species must be described before making any global inference. For this purpose, I propose to use the group of small freshwater fishes commonly known as stream gobies (Figure 2). In my research, I am revealing their population structure in the Central Pacific and comparing their evolutionary history with several other island species of plants and animals. 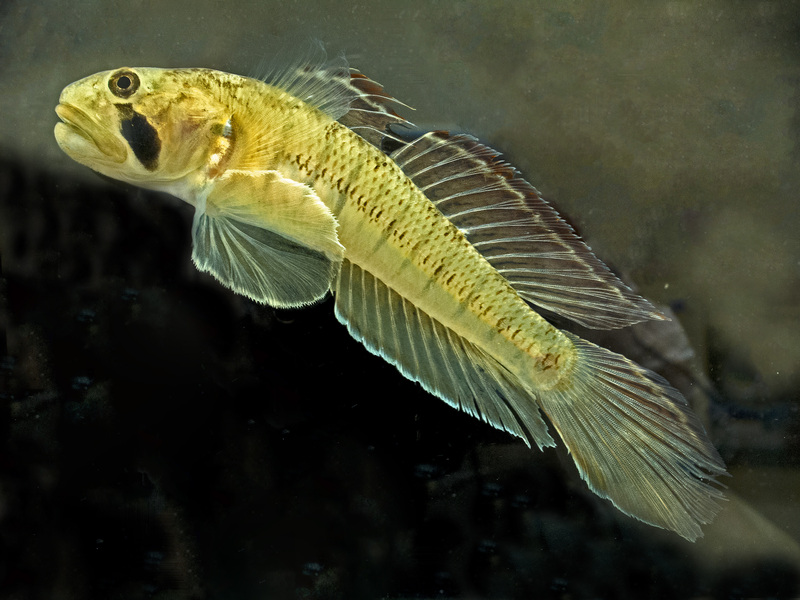 Freshwater stream gobies were chosen as a model group because they occur on almost every island across the ocean and often represent the only native freshwater fish fauna. Interestingly, many of their species found living together within the same streams do not share a common most-recent ancestor. This suggests that stream gobies have colonized each island multiple times in their evolutionary history. Even more surprising, some species of stream gobies are found only above the high vertical waterfalls. The most striking example of that is the species Lentipes concolor that lives in the mountain streams above the 1200-foot tall Hi‘ilawe and 422-foot tall ‘Akaka waterfalls on the Big Island of Hawai‘i (Figure 3). How did that small freshwater fish ever get there? And how did it get across those salty seas to the other islands in the Central Pacific? The answers to many of these questions were found in the complicated life cycle of stream gobies. It was shown that their adults live and reproduce exclusively in freshwater streams. But, after spawning and a short period of egg incubation, their tiny larvae hatch and are carried passively by a water flow downstream to the ocean. Once in a marine environment, these larvae begin to feed actively and grow until they reach a certain stage of their development when they must return to a freshwater stream and transform into adults. The term “amphidromy” was coined to describe this interesting life cycle, and consequently, all stream gobies were named “amphidromous gobies”. All species of gobies have a unique morphological feature: their adults have a peculiar fusion of pelvic fins to form a disc with a strong sucking power (Figure 2). Amphidromous gobies use their sucking disc to move upstream; the disc allows them to attach to stones and climb on vertical rock surfaces, and finally, to reach their home habitats even when they are located at high elevations above waterfalls. Amphidromy has provided many clues to the evolution of stream gobies in the Central Pacific by showing the great potential for fish to move between the islands during their marine larval stage. But, we still have no information about how far marine larvae of stream gobies can swim from their home islands, and about whether they return to their original streams afterward. The answers to these questions can be obtained by comparing genetic variation within and across the populations of amphidromous gobies. Imagine, if some small fraction of marine larvae can move a very large distance across the Pacific Ocean and colonize remote islands just by chance, then those new populations should be highly isolated from the others and represent low genetic diversity. Alternatively, if there is a huge pool of larvae constantly dispersing among islands across the ocean, no significant difference in the genetic diversity among the island populations should be observed. So far, only a few studies have addressed these questions. They have shown the absence of any within-species genetic differences among populations of stream gobies from different islands (e.g. within the Hawaiian Archipelago). The distinguishing feature of the proposed analysis is that all historical and ongoing connections between the island populations of stream gobies will be compared using the information from the thousands of genes of their nuclear DNA. This large set of genes ought to allow us to better assess isolation between the populations and will help to reveal the pathways of larval movements between the islands. The population structure of stream gobies will be then compared with the other native plants and animals to support one of the hypotheses about the general pattern of evolution in the Central Pacific (Figure 1). Interestingly, this story of a small fish might sound very similar to the legends of the origin of the Hawaiian people. The Hawaiian Archipelago is the most isolated chain of volcanic islands in the world. It lies almost 2,500 miles (~4,000 km) from the Marquesas, the nearest group of islands with similar volcanic origin, and a similar distance from the North America, the closest continent. Several independent studies based on oral traditions, genealogies, linguistic similarities and radiocarbon-dated chronologies have shown that the first settlement on the islands was made by Polynesians from Tahiti around a thousand years ago. There is no supported evidence that those trans-oceanic voyages were ever repeated. So, how did those first Hawaiians cross such huge distances? 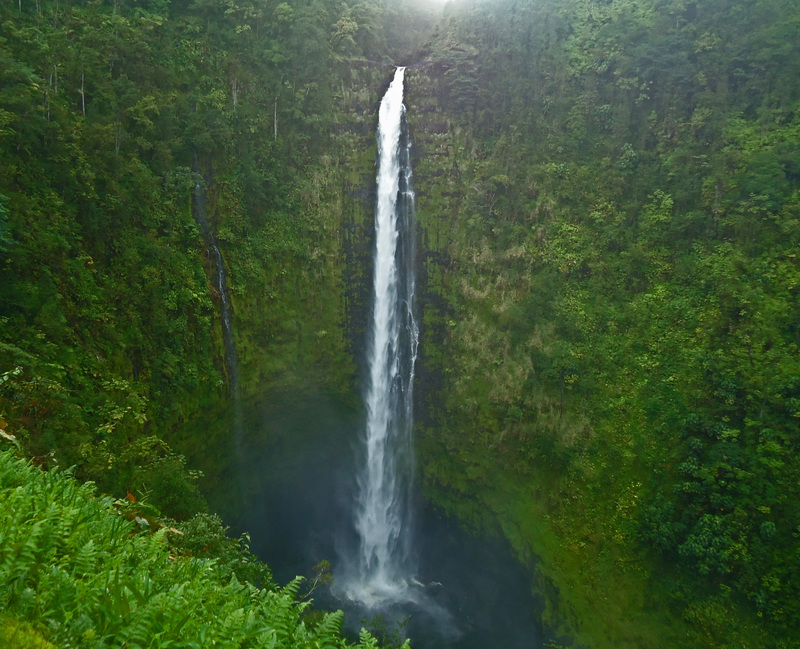 Why did they decide to travel to such remote islands like Hawai‘i and how did they learn about them first – or did they? Surprisingly similar questions may be asked for almost every organism that lives in the Central Pacific. All of these important questions remain unanswered today – but we believe that small goby fish and high-throughput genomic tools will help scientists to unravel some answers very soon. Kirill Vinnikov is a 2010 fellow of the Fulbright Science & Technology Award, from Russia, and a PhD student in the Department of Biology at University of Hawaii at Manoa. All images and copyright belong to the author of this article.